The first examination will be of Combined Jr. Hindi Translator in Subordinate Office//Hindi Pradhyapak Exam on January 13, 2019. The examination for the Selection Posts Phase will be conducted from January 16, 17 and 18, 2019. • Constable (GD): February 11 to March 11, 2019. 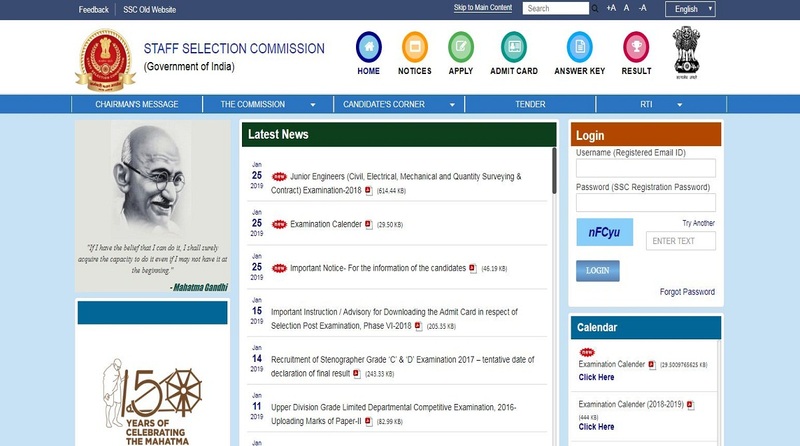 • The candidates should check the entire schedule here. • “Combined Graduate Level Examination – 2017, Combined Graduate Level Examination – 2017, Stenographer Grade ‘C’ & ‘D’ Examination – 2018 (DV/SKILL)”-The date of advertisement and the examination date will be notified later for these examination.